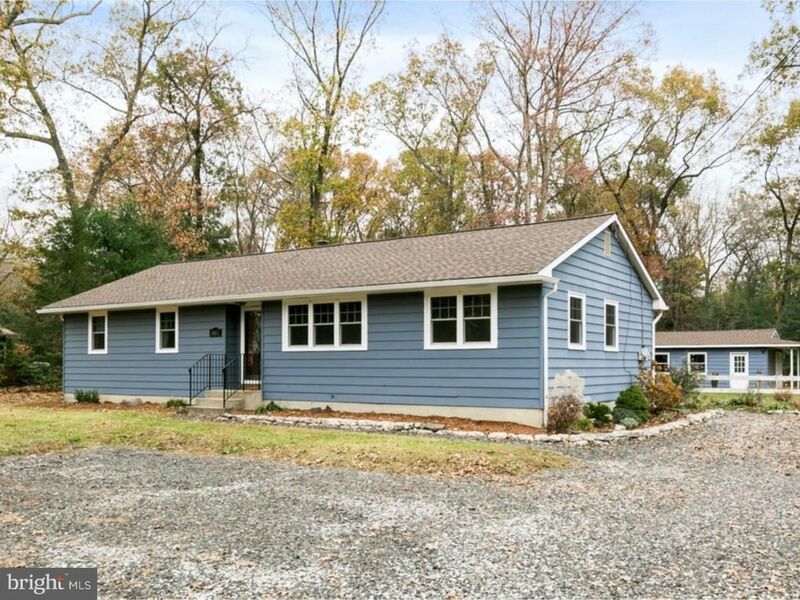 Adorably, charming 3 bedroom ranch home in a peaceful country setting. Feel the comforts of home as soon as you step through the doors. The open concept floor plan creates the ultimate hang out space for busy families. Wood look laminate floors add character to the home while the new Pella windows bring in a ton of natural light. The country kitchen features a stainless steel refrigerator, dishwasher, over-the-counter microwave and double sink. White cabinets with rustic hardware, contrasting counter tops and bead board back-splash add a dash of charm. Relaxation is in store in the comfy living room. A sweet study/office is the perfect multi-purpose space to use as you wish. Curling up with your favorite book while taking in the views of the fantastic yard would be perfect. The newly renovated bathroom features wood look tile floors and custom trimmed walls. The three bedrooms all offer neutral carpeting and storage. This .72 acre lot provides you with plenty of space for a variety of outdoor activities. Some additional bonus features include a newer roof, over-sized 1 car detached garage, recessed lighting, natural gas at the street, and chicken coupe. A second half or full bathroom can be added by re-configuring the current layout of the laundry room and additional framed out space. Your home should be somewhere that you love to be. Come love this home.